Will flow batteries — large tanks of liquid batteries — be a key technology to help deliver more clean power for the grid? Flow battery startup EnerVault is getting closer to commercializing that vision; it has completed the design of its prototype battery and is counting on a demonstration project next year to help the company launch its technology into the market in 2013, EnerVault CEO Craig Horne told us. The Silicon Valley startup is developing rechargeable flow batteries that, unlike a lithium-ion battery, separate the energy storage materials and electrolyte from the cells in which the electrochemical reaction occurs. The design involves two tanks, each of which contains a different mix of energy storage material and electrolyte. EnerVault’s design fills one tank of electrolyte with iron (the energy storing material) and another electrolyte tank with chromium. Pumps send the solutions from the tanks into separate chambers of a cell to generate electricity. Flow batteries can be scaled up and down easily because of the use of external storage tanks. Flow batteries are also rechargeable, the electrolytes can last a really long time, and typically use abundant materials, so can be a more affordable option. 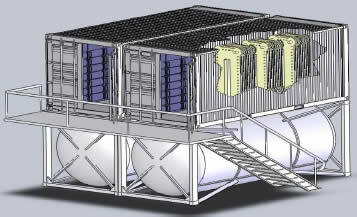 However, flow batteries tend to be bulky, aren’t easily moved, and the components have to be assembled on site. The membrane that keeps the two electrolytes separate but allows ions to pass through, is also expensive. EnerVault, which raised $3.5 million from Oceanshore Ventures and U.S. Invest in 2010, is developing what it calls an “engineered cascade design,” in which multiple cells are arranged to allow the electrolyte solutions to flow from one cell cluster to another along the same path. The system uses membranes with different permeability, and Horne says the design improves safety and cuts costs. EnerVault is looking to sell its flow battery tech to utilities, which are investing in various energy storage technologies to help manage the variable supply of wind and solar electricity. Batteries can store solar and wind energy when it’s available, then release the energy when demand peaks. Businesses and consumers are also potential customers for battery companies. EnerVault has completed its flow battery prototype and plans to install a demonstration project at an almond farm near the California Central Valley town of Turlock in the third quarter of 2012, Horne said. The 250 KW system will be able to store 1 megawatt-hour of energy and power the farm’s irrigation pumps, he added. 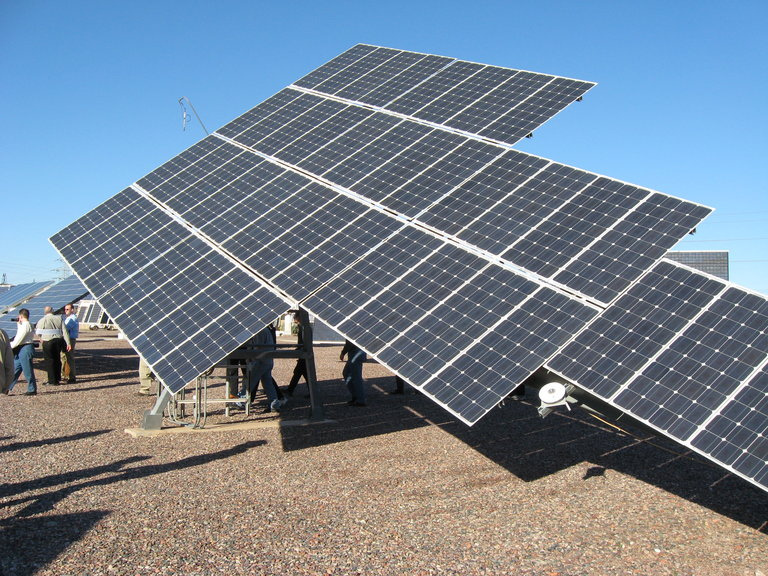 Ktech will carry out the project and combine EnerVault’s battery system with an 180 KW array of solar panels. The project will cost about $9.52 million, and the U.S. Department of Energy has awarded about $4.76 million to make it happen. The success of the demonstration project will be crucial for EnerVault to sell its technology, which it hopes to bring to the market in 2013. To reach that goal, the company will need to raise more funding soon. EnerVault isn’t the only flow battery startup out there. Primus Power has received $14 million from the DOE for a $47 million project to build a 25 MW (75 megawatt-hours) zinc flow battery farm in Modesto, which also is in California’s Central Valley. 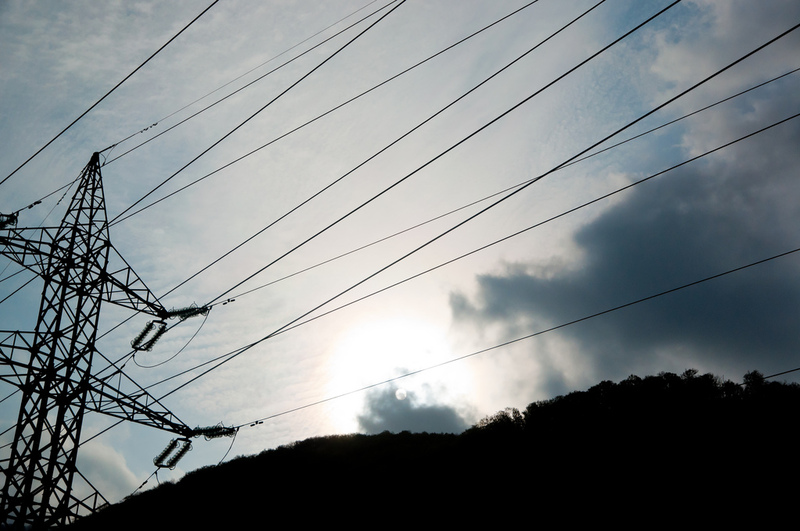 Primus Power’s storage farm will demonstrate how its battery will complement wind power generation from the area, and construction is supposed to start in 2012. Last month, Primus said it had raised $11 million in venture capital from investors including DBL Investors, I2BF Global Ventures, Chrysalix Energy Venture Capital and Kleiner Perkins Caufield & Byers. Image courtesy of EnerVault, Horia Varlan, Mark Florence. Great step in energy Storage in Batteries. I wonder if flow batteries could backfire on the green-tech community by allowing coal-fired power plants to run at a steady rate and bank nighttime power for peaks during the day. This would reduce the need for natural gas generators to smooth out the supply, thereby making coal power even cheaper than it is currently… and suppressing renewables for decades to come.